At 417 Smiles, we exceed the state and federal guidelines for dental practices so our office is very safe, clean, and organized. We have a dedicated area with advanced sterilization equipment where we employ the latest techniques to wrap, disinfect, and organize our instruments before each use. This area is visible for patient observation. 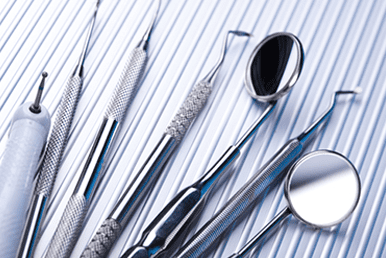 We want you to have peace of mind in knowing that our instruments have been newly sterilized specifically for you. In addition to our in-office sterilization system, our processes, equipment, and instrumentation all go through strict spore testing from third-party laboratories on a weekly basis to confirm that everything is completely sterile and safe for our patients and staff. Of course our treatment rooms are sanitized between patients as well, and we use disposable protective barriers wherever possible. We also use a special water purification system and regularly clean our water lines. We take our job and your oral health that seriously!